Where has time gone?? So after a busy two weeks of taking part commonwealth games activities, and another week of the Edinburgh festival plus a thesis which has now passed the mere planning phase, free sewing time has been strictly limited! It really was a fast make this one and because I had made it before and there were now the full compliment of sewalong instructions ( here) I was confident I knew what I was doing! I kid not I am like the slowest sewer ever and i started this at 6 pm on friday and after a dinner break and a beer run and an hour long battle rethreading my overlocker it was finished by about half 10. 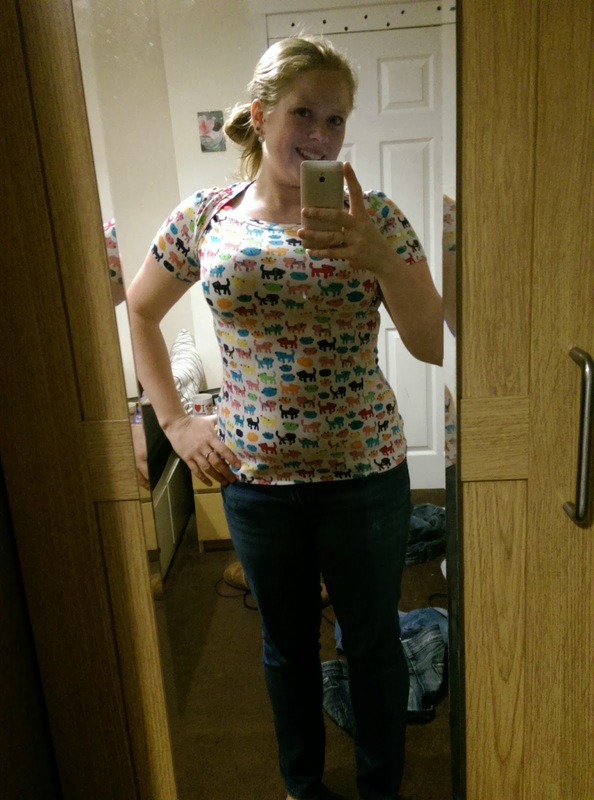 The top is a little tight on me but my mums measurements are that of the patterns size 10 and I cut mine in a 14. Although on seing this I think i'll make any subsequent versions for me in a size 12. The fabric for this was a cat print lightweight jersey from remnant kings - I picked it up near the end of the sale and they don't have it online any more, but yeh! cats :-D. I also think the binding worked out better this time than the last - it sits flatter and doesn't droop the same after a full day at the festival! (after giving it to her it was put on straight away and she loved it!) so she liked it, I'm proud of how it turned out and I have some fabric left over for a tank top. WIN! Has anyone else made up the bronte? I really love the neckline (as i've said before) and reckon when the cold breaks through the window in the flat it will be a useful extra layer! 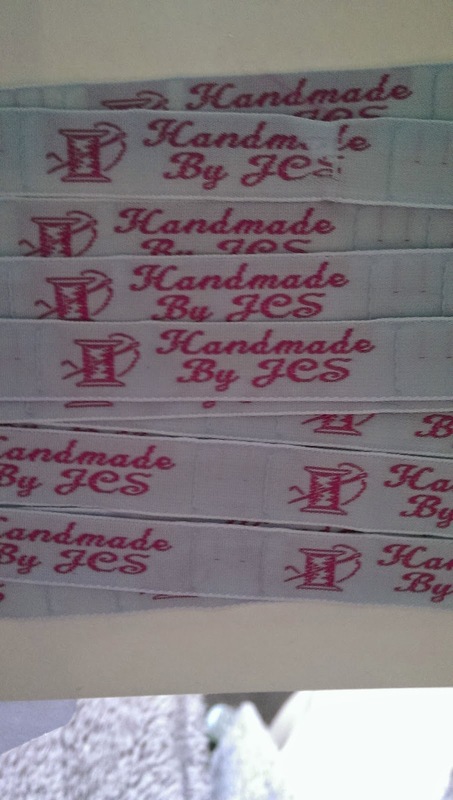 Also a recent purchase I made was some woven labels to add to my makes! Does anyone else use these? I thought they were pretty cool. Hopefully I'll have my big project finished soon and can share a few more makes. I love your posts, style and style of writing. Your blog is genuine and not full of fluff!! Lol. Keep up the good work!! I enjoy reading! Thank you so much for your lovely comment :-) thank you for reading.